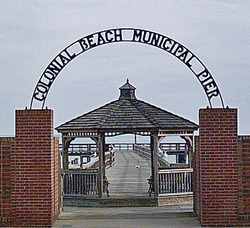 Colonial Beach is located on the peninsula of land between the Potomac and Rappahannock River know as the Northern Neck. 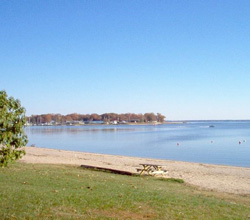 Colonial Beach is located on the Potomac River side of the peninsula. They have the second longest public beach in Virginia. There's a boardwalk and riverwalk along the beach. There's also a municipal fishing pier where you can try your hand at catching some fish. Shops, dining, and marinas for visiting boaters round out the amenities found in the waterfront town. Everything's pretty compact and you can rent golf carts to get around. Nearby attractions include George Washington's birthplace, James Monroe's birthplace, Westmoreland State Park, and the Colonial Beach Dragway. 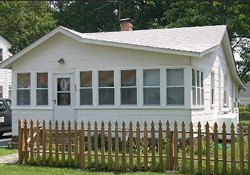 Waterfront Cottage This three bedroom, two bath cottage has a sandy beach and great views across the river. Has a screened porch with dining table. 3 Bedroom Cottage - Located just steps from the beach. Close to restaurants and entertainment. Family Retreat This six bedroom, four bath house is large enough to host a large family gathering. Located close to the beach. Large kitchen. Washer and dryer. Playroom and backyard slide for the kids. Cozy Cottage Three bedroom cottage. Has a water view. Enclosed porch and sunroom. 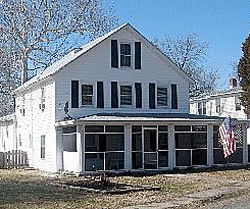 See More Colonial Beach Rental Properties - Over 20 to choose from. More Colonial Beach Rentals at TripAdvisor.com -	Trusted rentals, traveler reviewed.